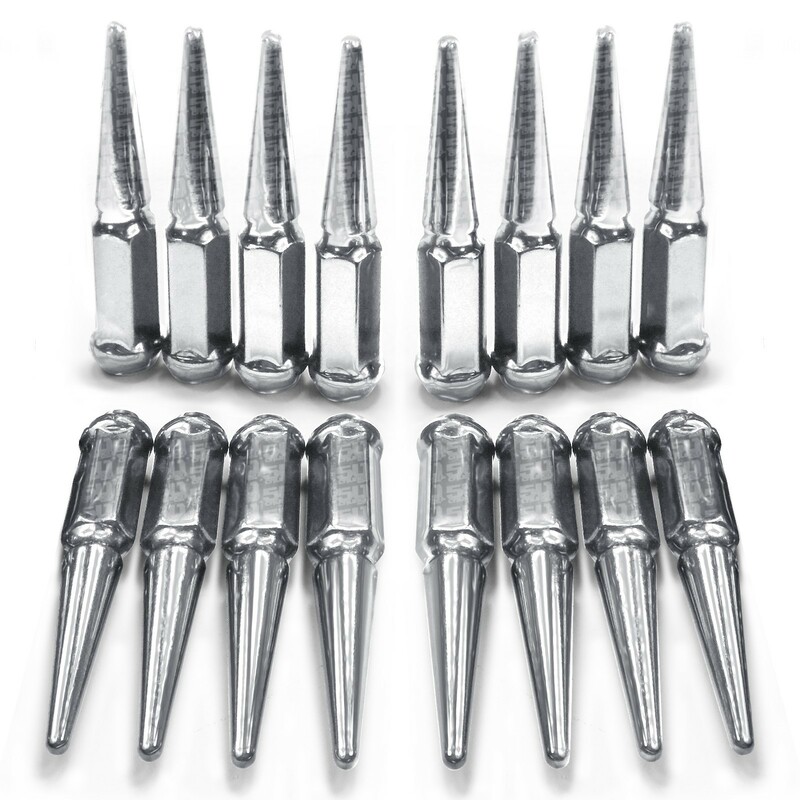 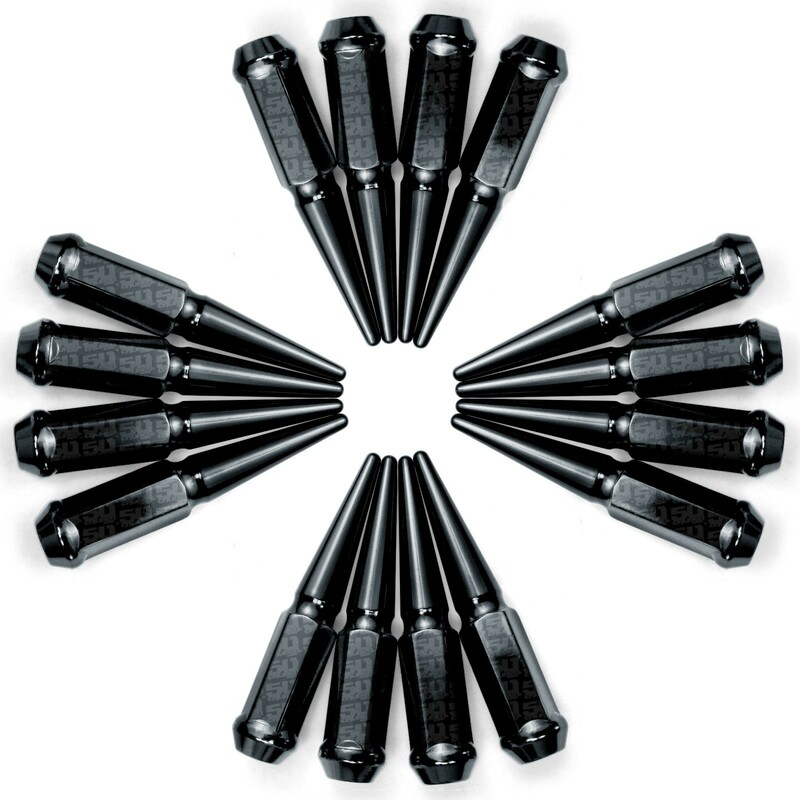 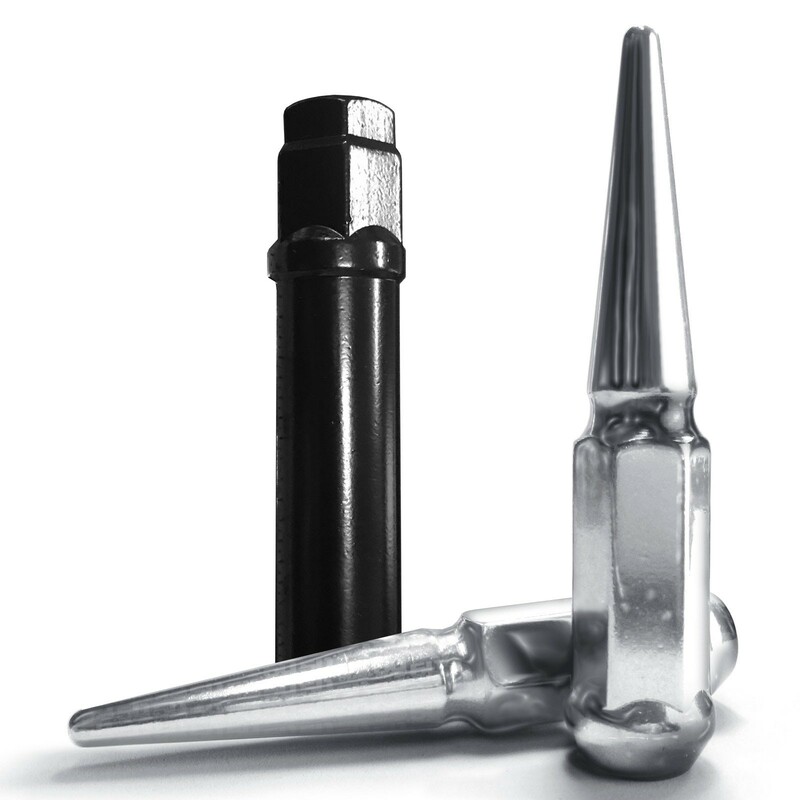 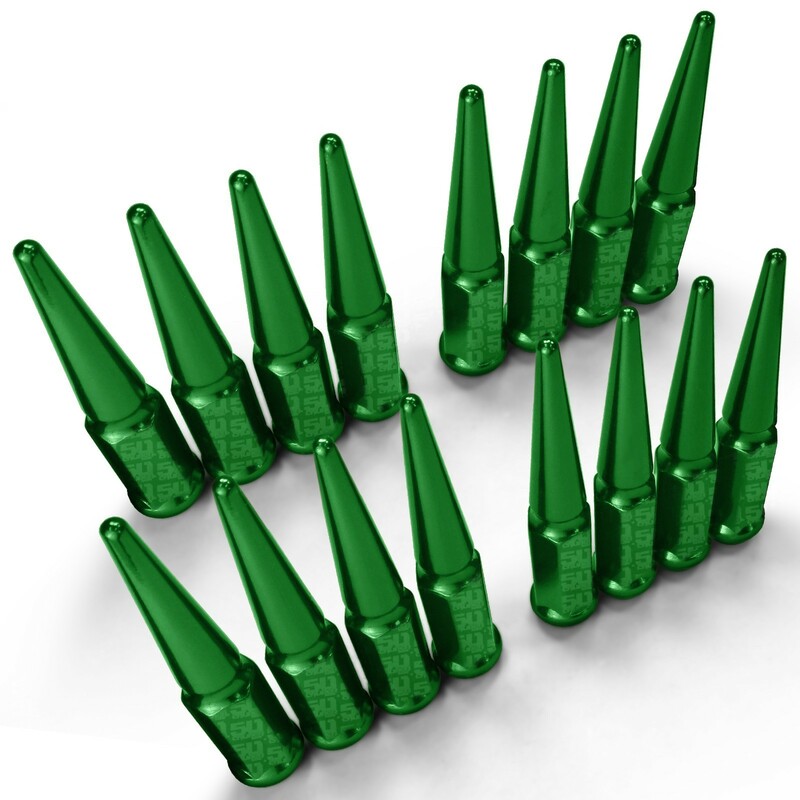 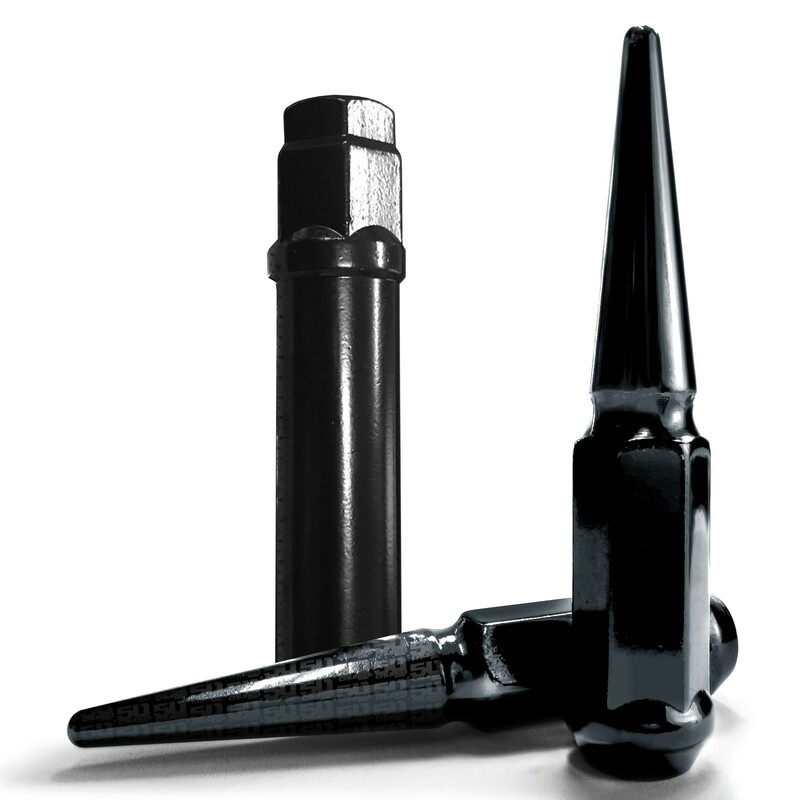 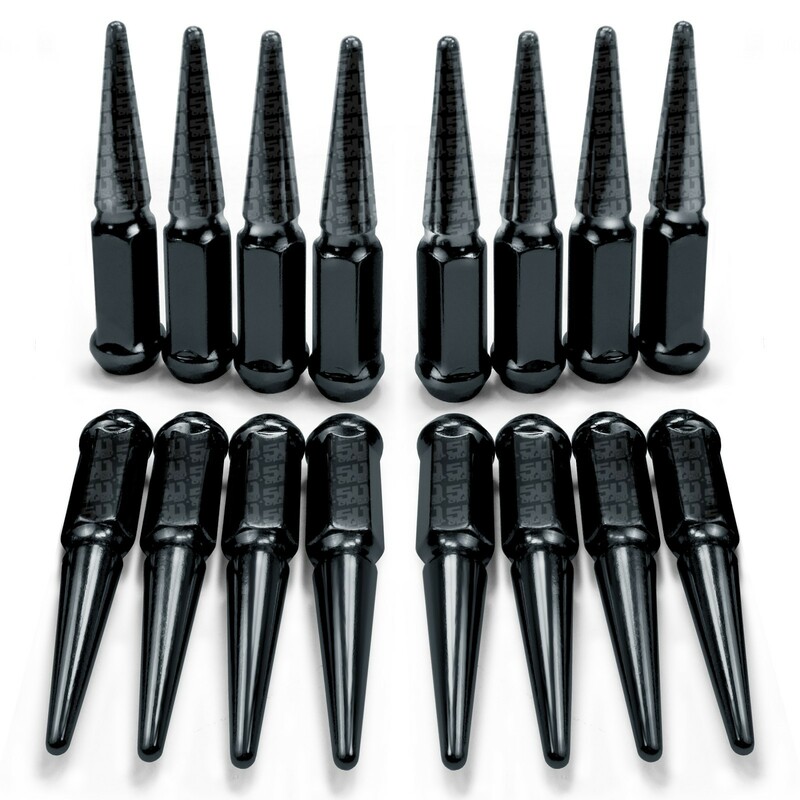 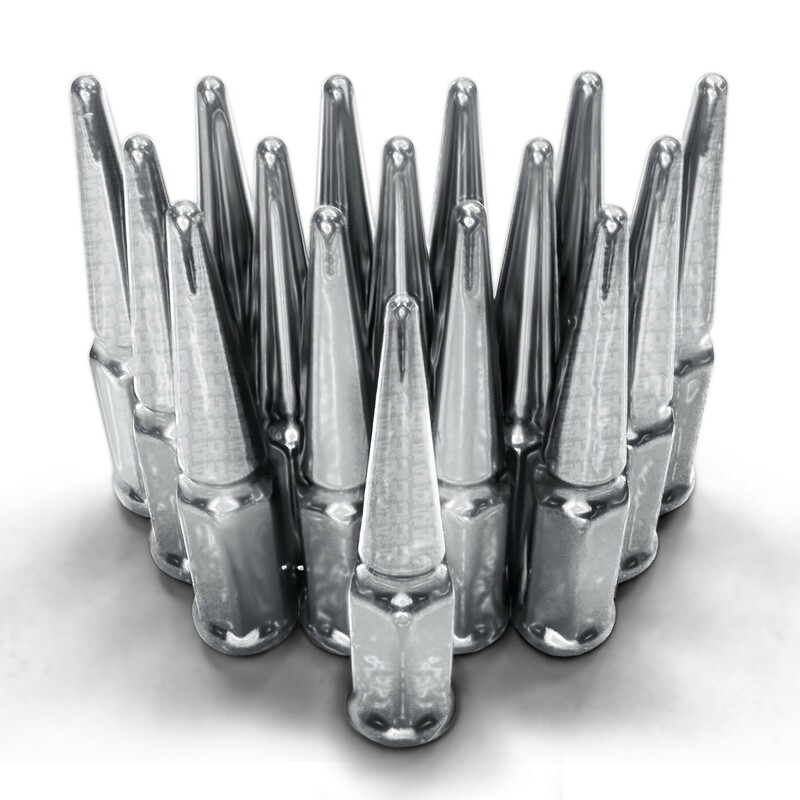 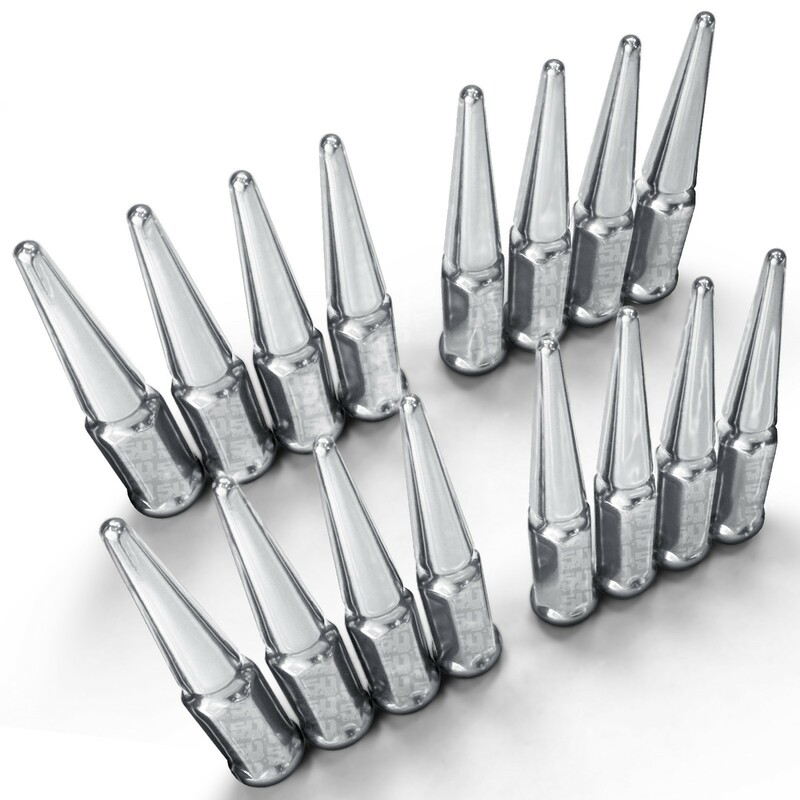 Heat treated, hardened steel lug nuts with 3.5" extended spikes for your car, truck or UTV. 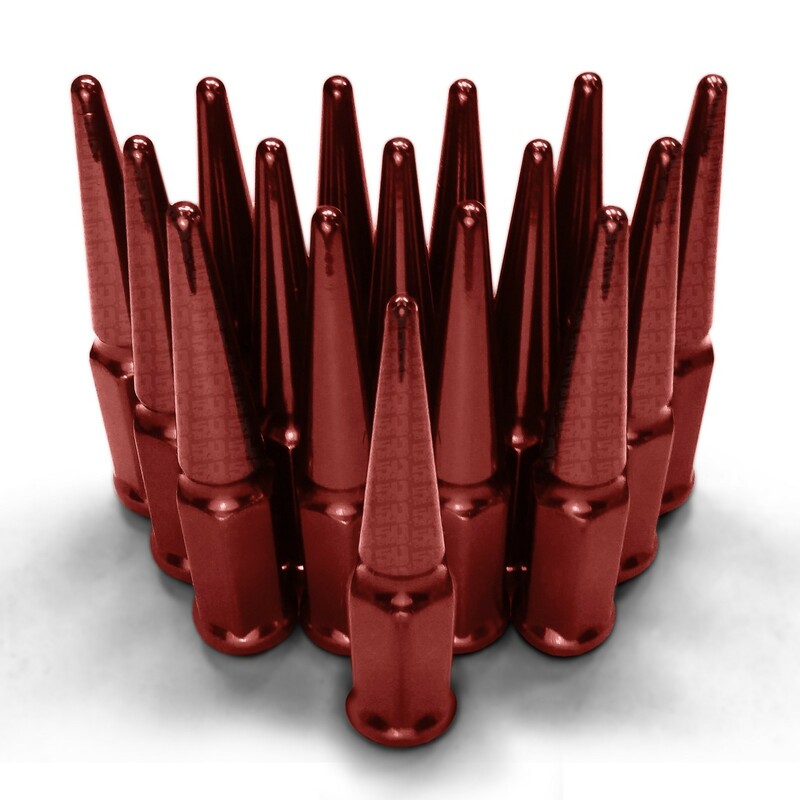 Tapered 60 degree acorn tapered seat. 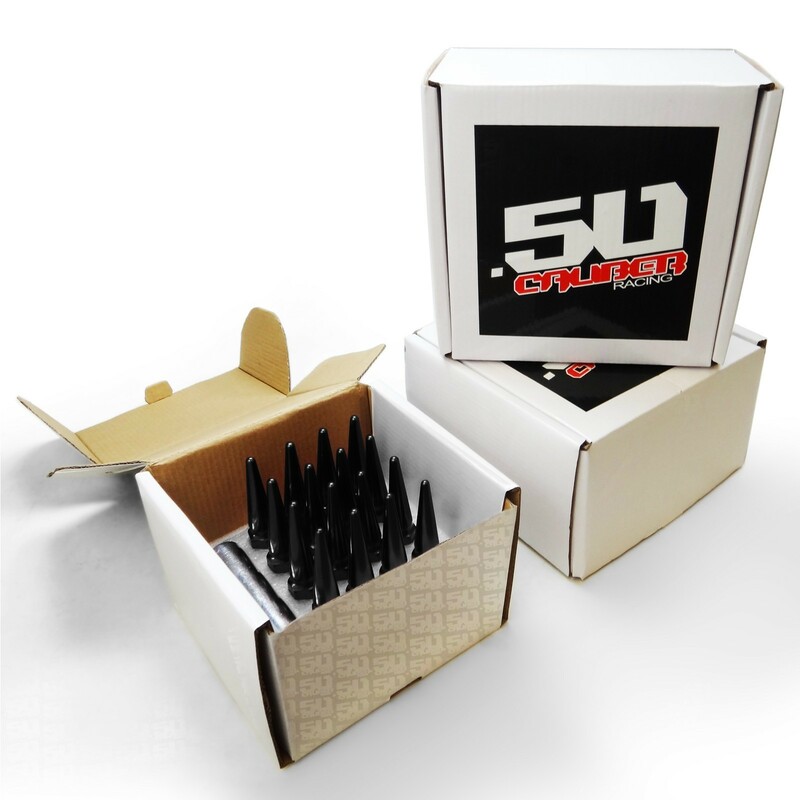 Compatible with most aftermarket lug centric wheels, and each kit includes extra long socket key for installation/removal. Comes as a set of 16 lug nuts, with several colors to match any color scheme. 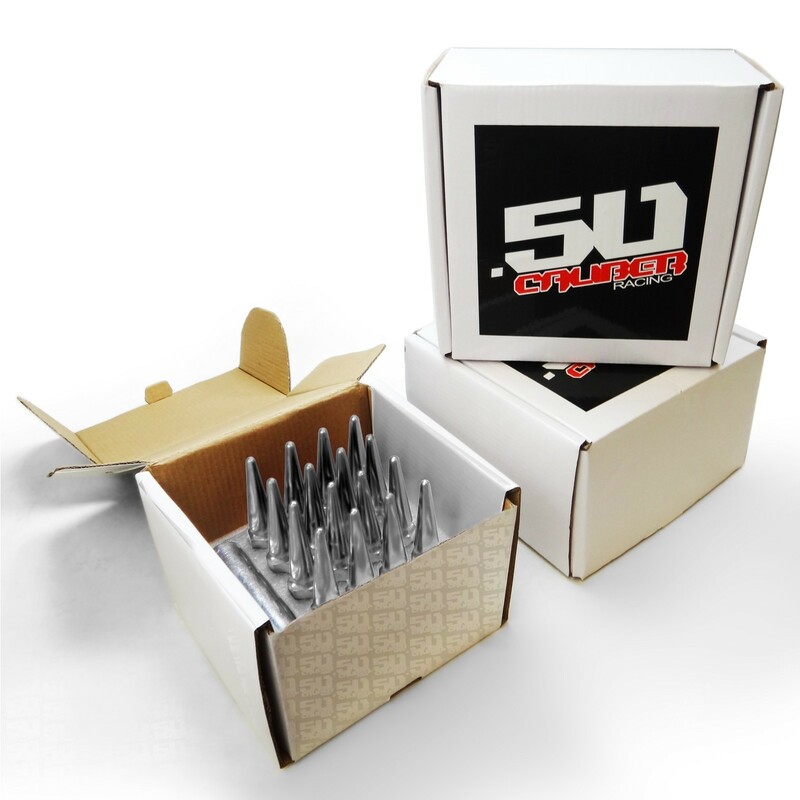 Will also fit many Chinese made 400, 500, 700 and 800cc ATVs and UTVs by Bennche, Big Muddy, Coleman, HiSun, Massimo, Supermach, Yardsport and more. Check your lug size for compatibility.